Kiehl's Micro-Blur Skin Perfector is the newest product from Kiehl's. It arrived with the most intriguing blurb ever - it's touted as both a skincare as well as a makeup product! 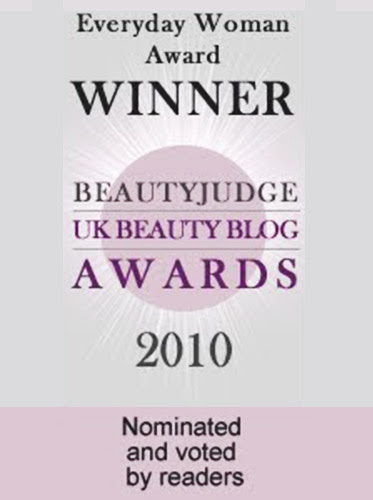 As a makeup product, it's supposed to "diminish the appearance of pores" and "refines skin texture". 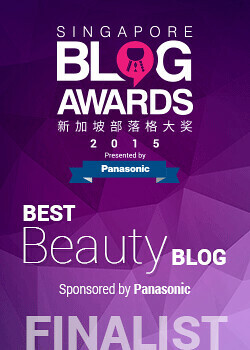 As a skincare product, it' "provides long-lasting pore and texture correction". So I just had to review this! Kiehl's claims on its website that its product has "light reflectors to give skin a more even and pristine appearance and help makeup last longer". This makes it sound like a primer. 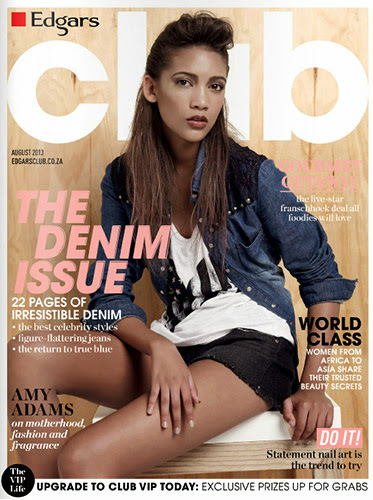 Kiehl's also claims on its website that "The effect is far from just being cosmetic. In just four weeks, you'll notice a significant reduction in the number and size of pores, more refined skin texture, as well as a reduction in fine lines." So it's also a skincare product for pores! I just had to investigate this, and where better to start than the ingredients list? The Kiehl's Micro-Blur Skin Perfector is formulated in a similar way to other primers on the market. There is water, and glycerin (a humectant) near the start of the list. After that, we have silicones and silicone-based polymers(Dimethicone, Dimethicone Crosspolymer, Vinyl Dimethicone/Methicone Silsesquioxane Crosspolymer, Lauryl PEG-9 Polydimethylsiloxyethyl Dimethicone, Silica Silylate, PEG/PPG-18/18. Dimethicone), more polymers (Methyl Methacrylate Crosspolymer). These which lend the product its nice "slip" and feel on skin, and form a nice, even film on the skin, which is useful in a primer-type product. Some of the ingredients also serve as emollients and skin conditioners, such as Lauryl PEG-9 Polydimethylsiloxyethyl Dimethicone and Silica Silylate, and others, such as PEG/PPG-18/18. Dimethicone can also serve as emulsifiers to hold the product together and keep it from separating. There are also emollients (Isononyl Isononanoate). Alcohol Denat. is also present as a solvent and to thin out the mixture so that it's not too thick, and Butylene Glycol appears as a slip agent and humectant. Boron Nitride is also there to serve a variety of functions - as a slip agent, to improve adhesion, and as an absorbent. 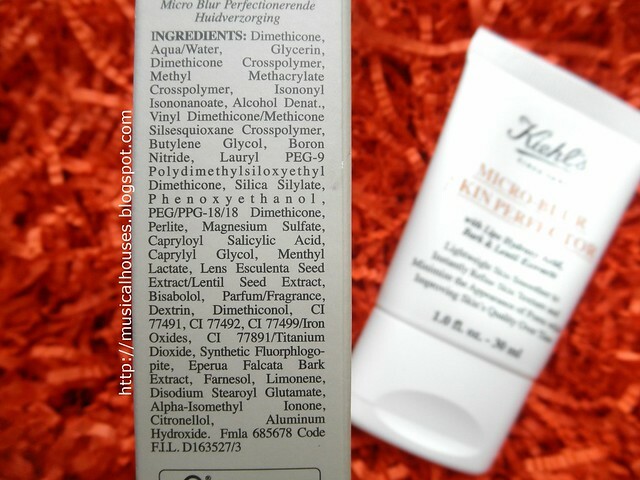 Kiehl's Micro-Blur Skin Perfector Ingredients: A mix of primer-type ingredients, with some skincare benefits. As you can see, most of the above ingredients are more "makeup" type ingredients. To be fair, there are some skincare-type ingredients - there's water, humectants (Glycerin, Butylene Glycol), and some emollients (Lauryl PEG-9 Polydimethylsiloxyethyl Dimethicone, Silica Silylate, Isononyl Isononanoate), but these are the types of ingredients you'd find in a moisturizer. Perlite is interesting - it's added there as an absorbent (to absorb oil), and you can find it in other L'Oreal Group products, like Vichy, and L'Oreal (their upcoming powder foundation has Perlite as one of its hero ingredients in the marketing story - but that's for another blogpost!). So it helps in oil control, but it's not a huge skincare ingredient by itself. Magnesium Sulfate is also an absorbent in this product. There's also Capryloyl Salicylic Acid, the LHA that Kielh's refers to in its marketing ingredients. This is a multi-functional ingredient that has skin conditioning as well as exfoliating and anti-inflammatory properties, and is quite a plus for me. Lastly, this being a Kiehl's product, it wouldn't be complete without plant extracts - in this case Lentil Seed Extract and Bisabolol are the main ones, although others, such as Epurua Falcata Bark Extract, are also present. Kiehl's Micro-Blur Skin Perfector is transluscent and glides on your skin easily. So what's a beauty blogger to make out of this? is this product really a skincare one, or is it just a makeup product? Well, to be frank, my thoughts are that this definitely falls in the "makeup" category for me. Sure, it's got some skincare benefits (primarily from the Capryloyl Salicylic Acid), but for the most part, the formula overwhelmingly reads "makeup primer" to me, albeit with some skincare benefits. So I'm not going to pretend that the product is more than it really is. I do think that over the long run you will get some benefits from the skincare ingredients, but for me, this would first and foremost be a primer. It even feels like a primer to me, with its silky-smooth, silicone-glide texture, and the nice way it glides nicely and evenly onto my skin. And although the product is tinted this warm-orangey-beige shade when it first comes out, it actually goes on transluscent. It doesn't cover any imperfections (so no, it's not really a concealer despite its colour), but it does give the skin a nice, even surface for subsequent makeup application - just like a primer should. Now that I've said this was primarily a makeup product for me, how then does it fare as a primer? You'll be pleased to find out that it is pretty good! Some of the ingredients, primarily the polymers (Vinyl Dimethicone/Methicone Silsesquioxane Crosspolymer, Silica Silylate, Magnesium Sulfate) also serve as "soft focus" agents, meaning that they diffuse the light so that your skin appears smoother and less flawed than it really is. And you can see below, with my very moon-crater-surface nose, how it is actually pretty effective at doing this. In the top photo, you can see all the nooks and crannies and pits of my nose and its blackheads (ew, I know - pesky blackheads never go away). In the bottom photo, you can see the light diffusing quality of the Micro-Blur Skin Perfector makes them seem less obvious. It doesn't conceal the imperfections, so you can still see all my nice blackheads, but the skin texture overall appears much more even and smoother. This would be a good base for foundation, concealer, BB cream, or whatever other base product you want to use next. 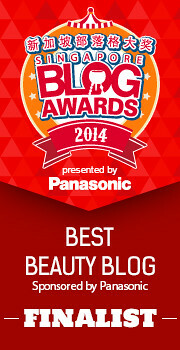 (Kiehl's recommends their own BB cream, which I've reviewed before, and which seems quite compatible with this product.) So yes, as a primer, I am sufficiently impressed with this product. 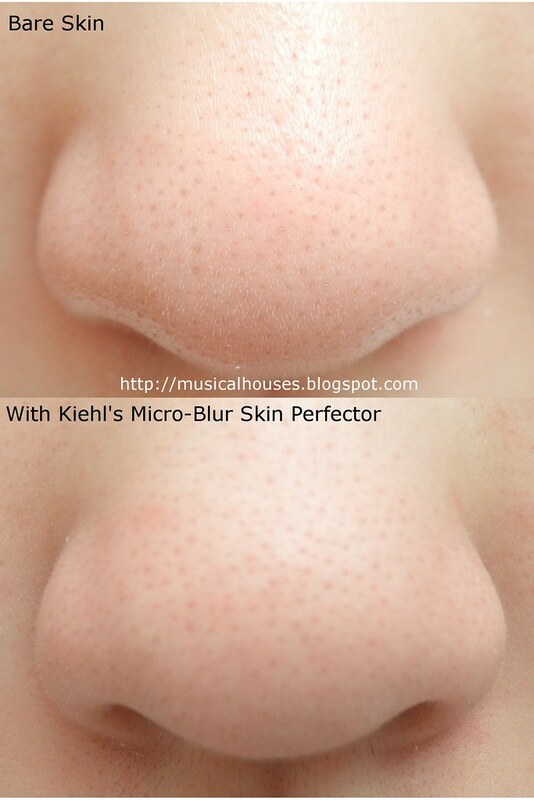 Kiehl's Micro-Blur Skin Perfector before and after: Look at that light diffusion! One last thing I'd thought I'd address that I'm sure is on everyone's minds: How different is the Kiehl's Micro-Blur Skin Perfector from all the other primers out there, in particular L'Oreal Group's other primers? If you're a beauty fanatic like me, you're probably aware that L'Oreal Group seems to be putting out all sorts of primer products under its various brands - The Body Shop has its All-in-One Instablur, L'Oreal had its Revitalift Miracle Blur Instant Skin Smoother Finishing Cream and recently launched its L’Oreal Youth Code Texture Perfector Pore Vanisher, Garnier has its Skin Renew 5 Second Blur Instant Smoother, and Maybelline has its Baby Skin Instant Pore Eraser. And you're probably thinking, like I did, "Meh, L'Oreal's copying itself again." To be fair though, the Kieh's product, while not entirely unique, isn't a slavish copy of what's already on the market. While there are some broad similarities, the formulation of the Micro-Blur Skin Perfector isn't really identical to any of the other products I mentioned (and yes, I looked up the ingredients lists for all of them). The Micro-Blur Skin Perfector is most similar to the L’Oreal Youth Code Texture Perfector Pore Vanisher, and both are somewhat unique in that they claim to be both skincare and makeup at the same time, whereas the rest of the products are sold more as a primer. Both do use Dimethicone, and both have the same skincare ingredients, which are Perlite and Capryloyl Salicylic Acid, as well as some of the plant extracts, like Lentil Seed Extract and Bisabolol. But even then, I wouldn't go as far to suggest there are dupes - certainly if you like one you will probably like the other, but there are likely to be differences in how thick/heavy the product feels and how it glides on the skin. So, all that said and done, would I recommend this? I would, but it would also depend on what you're looking for. If you've read this far, in addition to proving that you have lots of patience to sit through my super-long, super-wordy post, you'll know the following: 1) As a primer, this is really good. 2) As a skincare product, you'll want to wait awhile before you see results, since this is first and foremost a makeup product, and 3) It's somewhat similar to another L'Oreal Group product, although the two products are not dupes. So, if you're looking more for a skincare product, then I'll probably note that this is more primer than skincare. But if you're looking for a great primer that evens out the surface of your skin and has great light-diffusing qualities, this is it! The Bottom Line: Although the Kiehl's Micro-Blur Skin Perfector has some skincare benefits, it is first and foremost a makeup product: a great primer with light-diffusing qualities. Are you sure that is transparent? Because it looks like Benefit pore professional(in color)and that Benefit primer shows a lot on my skin :( it goes straight to my pores (they are huge!!) and then I finish with a million brown orange dots al over and a orangey face T_T . Do you think Kiehl's Micro Blur can work for me? @Ann: Wow you must be very fair indeed for those products to show up on you! The Benefit products are colourless on me. The Etude House product shows up on me, but it is a bit fairer than my actual skintone. The Kiehl's product was colourless on me, but I suspect it might show up on you in that case. It is about the same colour as the Benefit Stick Primer, so if that showed up on you, the Kiehl's one probably will to. @Christie: Thanks for your kind words on the product! The Benefit Porefessional has a thicker, waxier feel to it, while the Kiehl's one is more silicone-based. As a result, the Benefit Porefessional feels heavier and thicker on the skin, while the Kiehl's feels lighter and easier to blend. Both are quiet good at holding makeup down, and both are quite colourless on me, so I think that the eventual preference will depend on 1) what product you're using it with (some foundations might work better with one or the other), and 2) whether you have dry or oily skin (my mum prefers the Benefit Stay Flawless, but I prefer the Kiehl's, but that's because her skin is more dry than mine), and 3) your preferences in formulation (Benefit's is waxier, Kiehl's is more silicone-based). If you know something about your preferences, maybe this can help you assess your choices. I hope ethis helps! Very informative, yet could we know which is the most effective way for application of this product...please do post that as well. @Anonymous: Kiehl's says you can use this either as a skincare product (perhaps over your usual serum/lotion/moisturizer) or a primer. I personally prefer it as a primer, under makeup. I think for best effect it should be the last step after skincare, but before makeup. I understand it's supposed to be after skin care and before makeup. So does it mean it's supposed to be after sunscreen? @Anonymous: Whoops I missed out your comment! But yes, I would apply it after sunscreen. It's basically a sort of primer. If you are familiar with Prescriptives Magic Line Smoother (sadly discontinued), how would any of these products compare to it? @Anonymous: Unfortunately I'm not too familiar with the Prescriptives version, and I couldn't successfully google the ingredients list, so it's hard to tell for sure. But both seem to be primers of some sort, so I guess they miiiiight be broadly similar? It's hard to tell without access to the ingredients list of the Prescriptives version. Hi! Let me say, I really love your more analytical take on reviewing products. I haven't found a ton of people who do that and I really appreciate it! Anyway, thank you so much for your reviews and I just wanted to make you aware of the photo issue b/c it DOES bother me that it's not an accurate representation of the effect of the product if the photograph is not in focus (which, I TOtally get, is really hard to do when you're so zoomed into something). @theletterdrawer: Thanks for your comment! Obviously you know much more than me when it comes to photography, because I sort of get the gist of what you are saying, but not fully. Anyway, as you might have guessed in your comment, I am indeed using the autofocus setting on my camera for all the shots of my nose on the Kiehl's and MUFE review. For these shots, the camera is set to super macro mode (because I literally hold the camera inches away from my nose when taking the shot), and then I depress the photo-taking button halfway to "focus" the shot properly on the center of my nose (so that little autofocus square that comes up should be on the center of my nose, not the sides), and then I hold still and click. Usually I select the clearest photos to go on my blog (because sometimes my hands may shake slightly or the photo may not be as sharp as I like). I'm not sure how the camera processes the photo, but basically for all those shots, I am sitting in the same location, with the same lighting, with the same camera settings, and the same photography techniques (which is basically just let autofocus do it's thing, and click I guess). So by right both photos should be equally sharp since they are taken the same way. Based on your description, I suspect it might be the light-scattering effect of the primer that is probably directing the camera lense to focus elsewhere other than on my nose pores for the second photo. This could be caused by the silica or some other silicones in the product which might have have some light diffusing properties. I'm not 100% sure, but that's my best guess! This was a good post! I have to comment on the before and after photos however. The focus point is different. In the before, the focus point is on the tip of your nose, and your upper lip is out of focus. In the after however, the focus point is on your upper lip, making the tip of your nose look more blurred and smooth, since it is out of focus! Very misleading. If not for this, the review would be perfect! Cirque Bejeweled: Deep Blue Holographic Polish!